Peel Mill stands almost inconsequentially next to the river in Winshill, at the bottom of Mill Hill Lane. It is easy to pass it by without much notice but it has a fascinating story to tell. 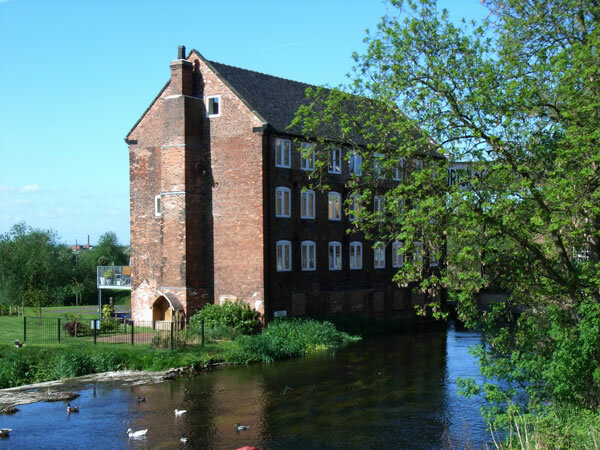 It was opened in Burton by Robert Peel who reloccated his milling operation from Altham, near Blackburn, after a large gangy broke into Peel’s mill there and destroyed most of the machines due to the Luddite feelings that they would put many people out of work. So what about the most famous Robert Peel who was Home Secretary, Chancellor of the Exchequer and (twice) Prime Minister best known as the founder of the Police Force? Any relation? In fact yes, he was the mill owner’s Grandson!